This pattern is available from quinceandco.com for $6.00. There can never be too much garter stitch! 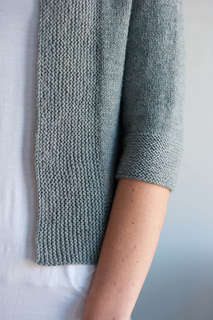 For Miriam, I used it for front bands and cuffs—just enough to hug the stockinette stitch body. 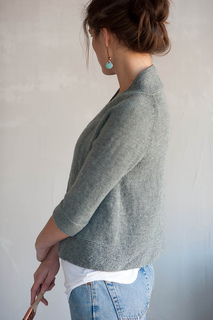 Cardigan is worked back and forth in rows from the bottom up. Front band is picked up and knitted when body is complete. Circular needle is used to accommodate large number of stitches.